Comic Book Legal Defense Fund, as proud members of Florida Education Defenders, has released a fact sheet about the devastating new legislation currently in the Florida state legislature. 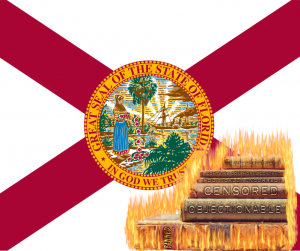 These bills are a blatant attempt from Florida Citizens Alliance to control educational materials and agendas, censor information they oppose politically and leave generations of students worse off than those that have come before them. 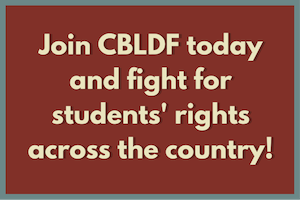 Florida Education Defenders is a group of organizations, including National Coalition Against Censorship, ACLU of Florida, Florida Citizens for Science, PEN America, and more, interested in protecting the students of Florida from censorship and special interests. Demolish science standards in the state, forcing teachers to use religiously-motivated curriculum to offer unscientific alternatives to proven scientific theories that the group disagrees with. Force school districts to offer specific, pre-approved religious courses, where legislative course requirements must be met in direct opposition to the First Amendment. Criminalize the teaching of anything with sexual content, making it illegal to teach Shakespeare, Steinbeck, Toni Morrison, and many other classic works of literature. Where to even start with this laundry list of First Amendment violations. Is there any sane person who wishes school districts were mired in countless legal battles to eat up valuable (and too few) resources on court fees and attorneys? That only sounds appealing the minority of people who are terrified by the idea of an educated electorate. By revising the legal definition of what is “harmful to minors” to include any images or text with sexual content they are, with one stroke of the pen, censoring countless works of art and literature that hold educational and inspirational value for the students of Florida. Florida Citizens Alliance (FLCA) is a relatively new special interest group, but check out the damage they’ve done in just three short years. Below is the Timeline of FLCA Censorship Activity from the Florida Education Defenders Fact Sheet. The Florida Citizens Alliance has been training its members for years to bring frivolous challenges against textbooks in all 66 Florida counties. Nassau Counties. They challenged 220 science texts in Collier County alone. 2018: FLCA teams up with Truth in Textbooks, a Texas group that claims to have trained estimated 20,000 volunteer challengers. 2019: FLCA teams up with It’s Your Tea Party FL to challenge dozens of texts in Marion County. with conservative values, and authorize challengers the right to sue. Read the full fact sheet below. Please share it broadly.